We have been in the watch and jewelry business since 1987. We established Swiss Watch Company in 1996. We meticulously hand select every watch we buy. We look for the newest and best in condition pre-owned Rolex, Cartier, Tag Heuer, Omega, and Breitling watches. Every watch is carefully examined for condition and age. We are extremely particular about the watches we select for our clients. The watches must pass an A-1 condition or we do not buy them. We purchase the majority of our watches from members of the internationally acclaimed International Watch and Jewelry Guild and, pride ourselves on being members in outstanding status since 1996. We also buy our watches from individual sellers and if you are selling your Rolex, please call us at 713-877-8727, send us an email or visit our showroom in Houston. 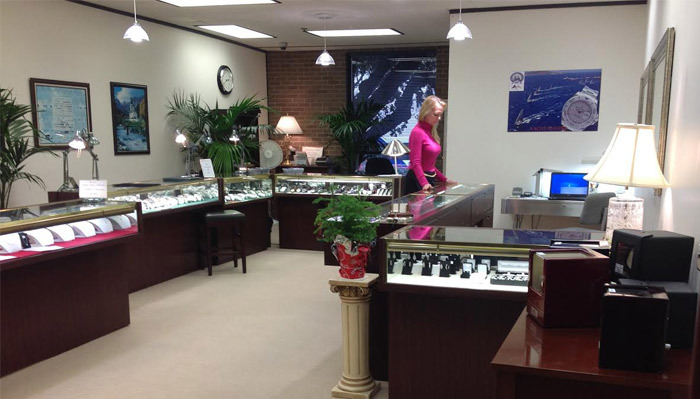 Every watch we purchase in the watch trade is carefully examined by our technicians. The watch is then disassembled and serviced both mechanically and cosmetically. All gaskets and washers are replaced. If water proof, the watch is pressure tested. 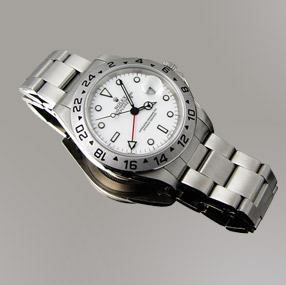 We render each watch to function superbly and to look as good as new. We select the newest possible watches we find. We also are able, through our network of dealers, to provide our clients brand new watches. We typically can offer a nice discount on new watches ordered through us. And, these new watches carry the factory warranty. Additionally, all our jewelry is brand new. We either buy our jewelry in the jewelry trade, or we have our jeweler custom make the jewelry item to our specifications. We do not sell used, preowned jewelry. Other services we offer are: replacement watch straps, installation of watch batteries, appraisals of watches and fine jewelry, repairs and service of Rolex watches, Tag Heuer, Patek Philippe, Omegas, Breitlings, Cartier and other fine high end watch brands. Additionally, we buy gold jewelry, estate jewelry, diamonds and other fine jewelry you wish to dispose off discreetly and we pay immediately on the spot.